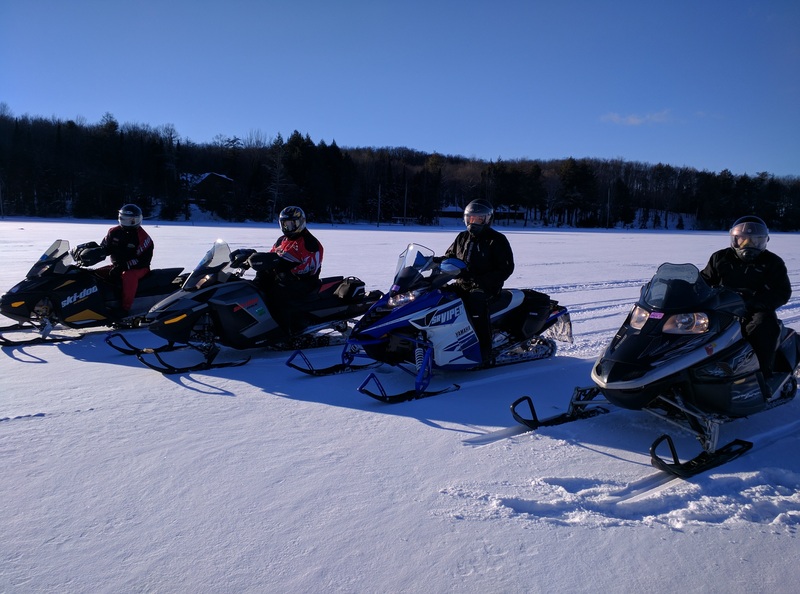 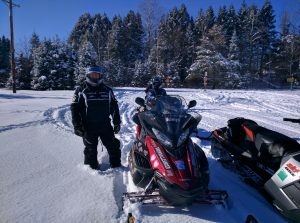 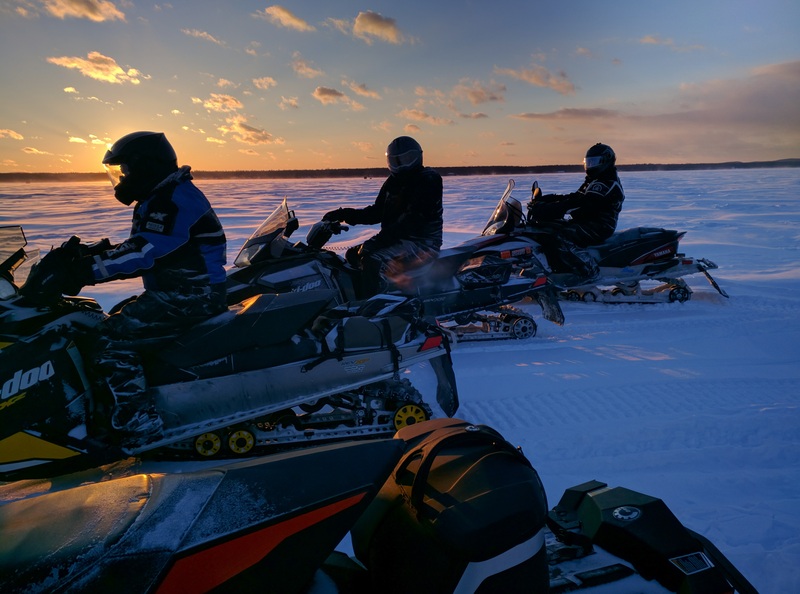 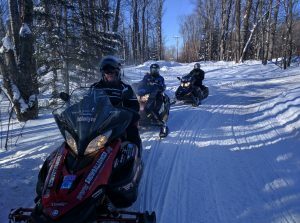 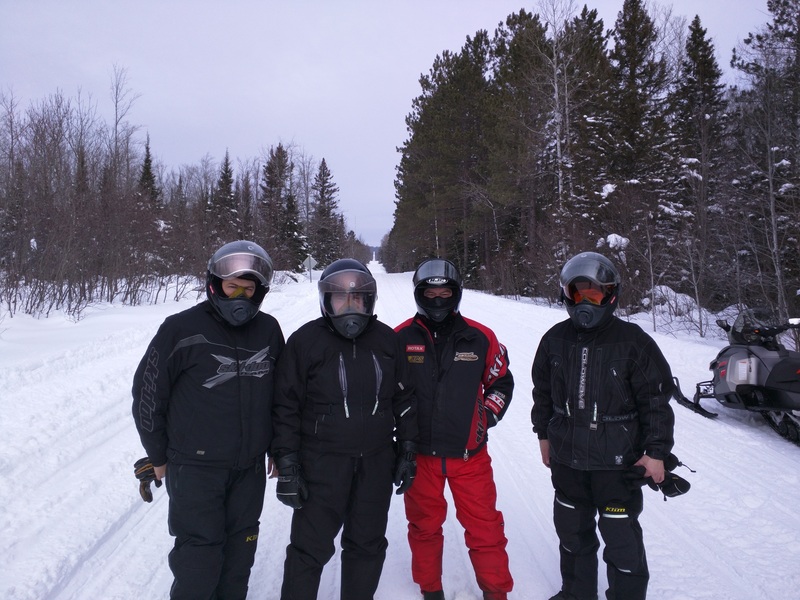 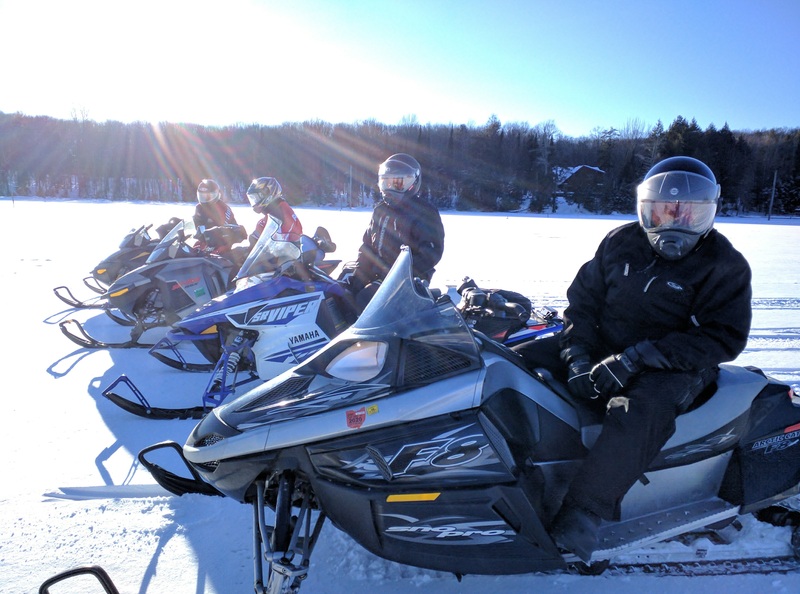 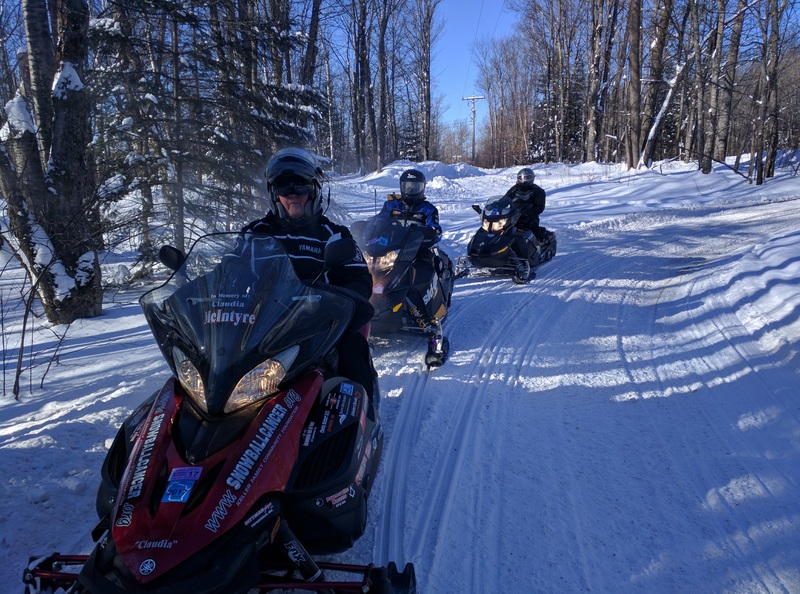 After our “break in” day yesterday with my buddies who have never ridden a sled, we decided to venture out a bit further on the rail grades. 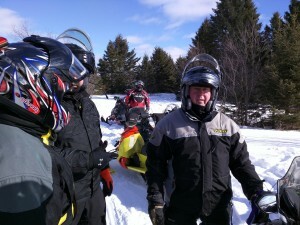 Both guys did great and rode like old pro’s by the end of the day. 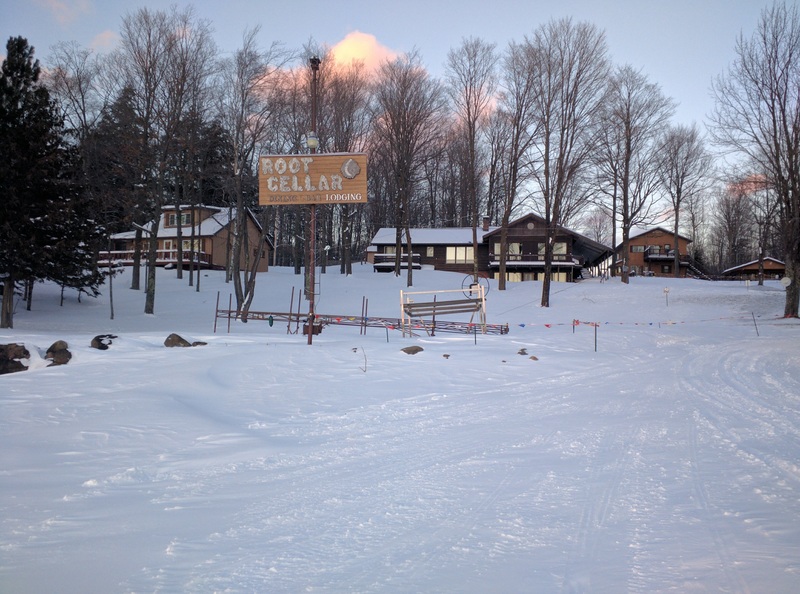 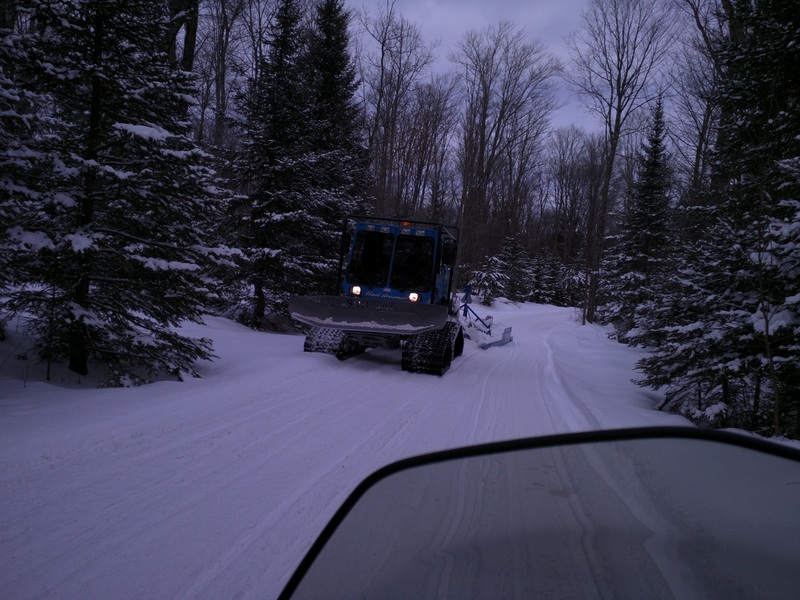 Trail 1 from Presque Isle to Marenisco was really rough and hasn’t been groomed for the last few days. 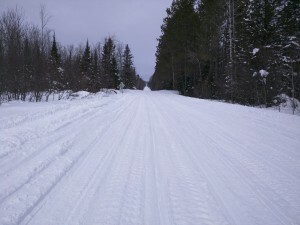 Obviously with the amount of traffic and limited options to get to Michigan (trail 11 is closed) it takes it’s toll on this trail. 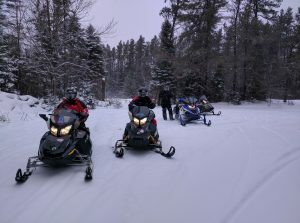 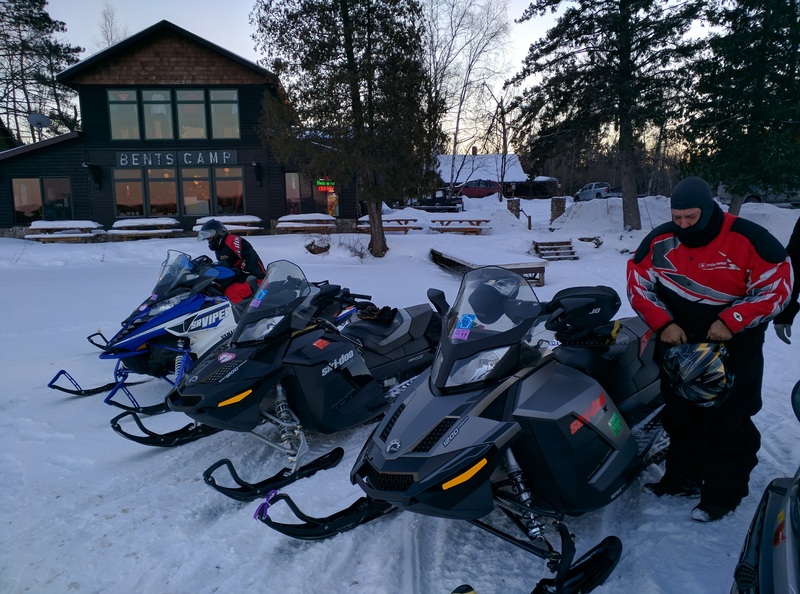 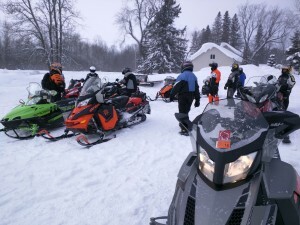 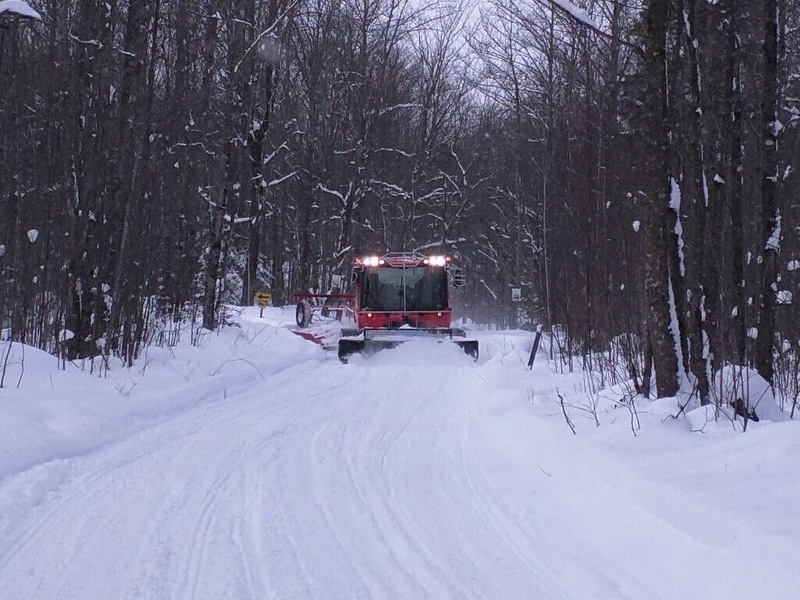 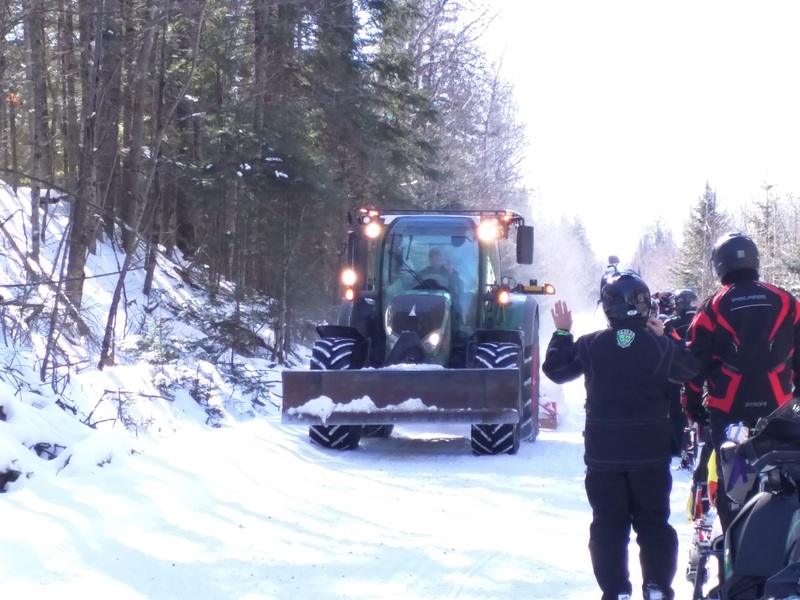 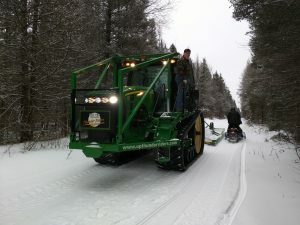 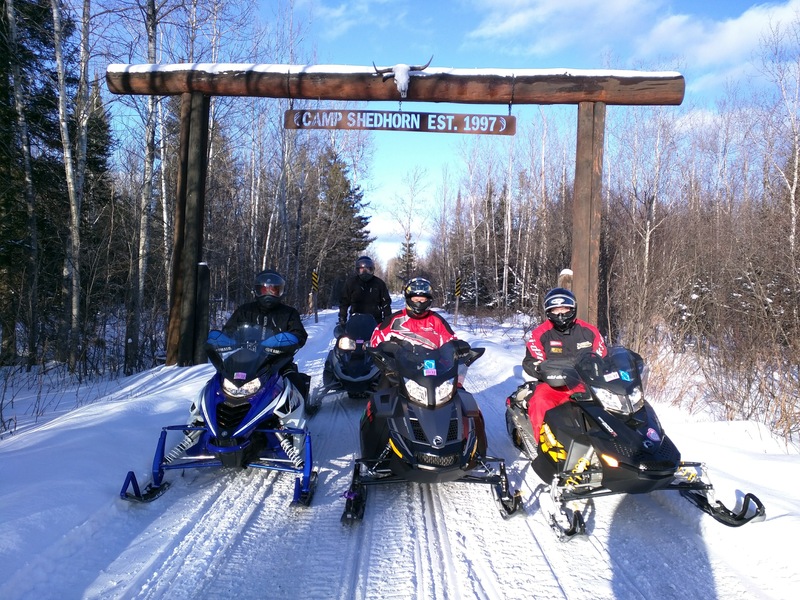 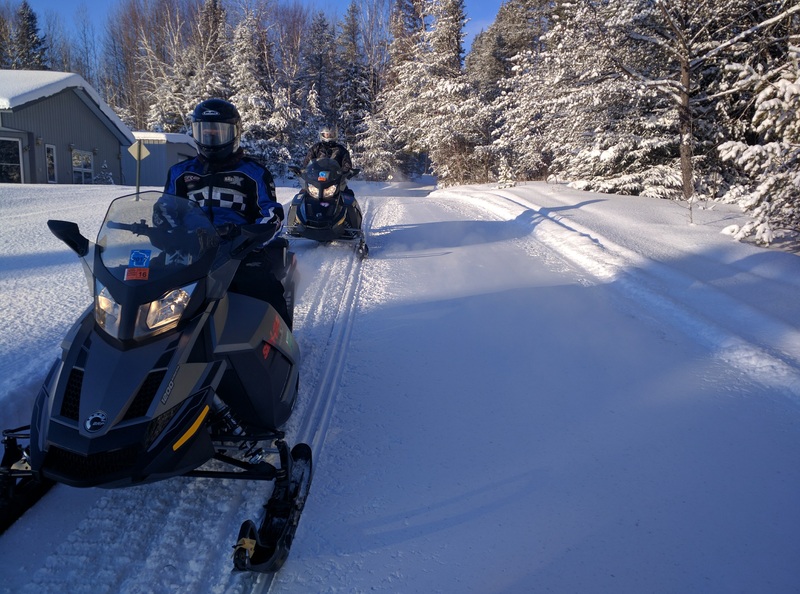 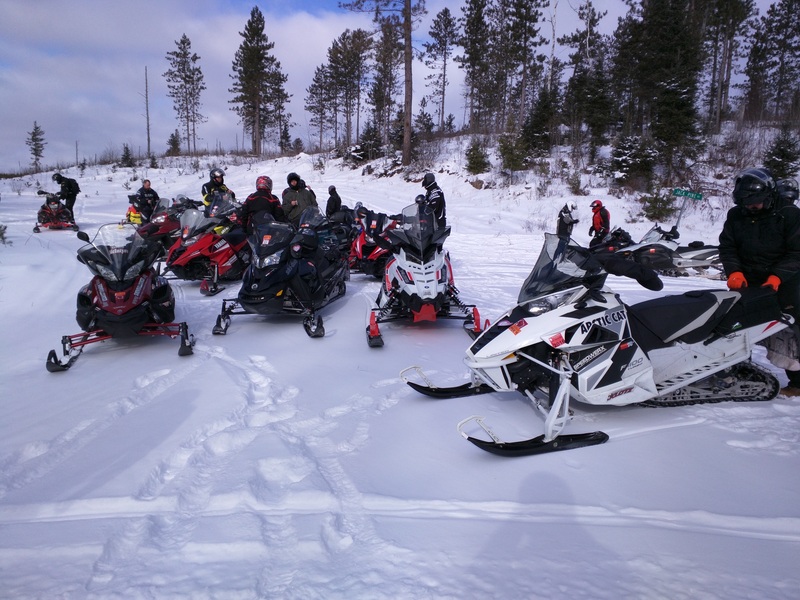 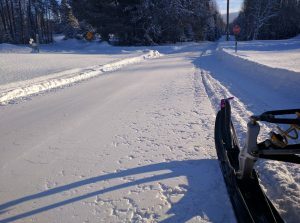 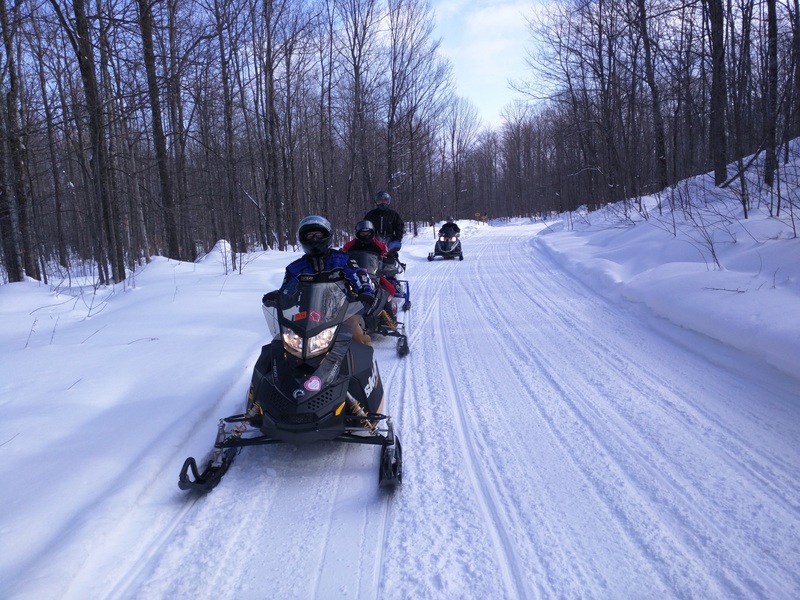 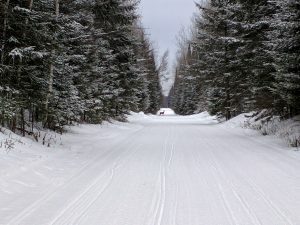 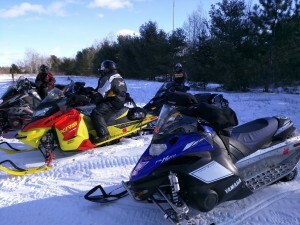 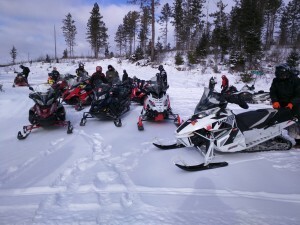 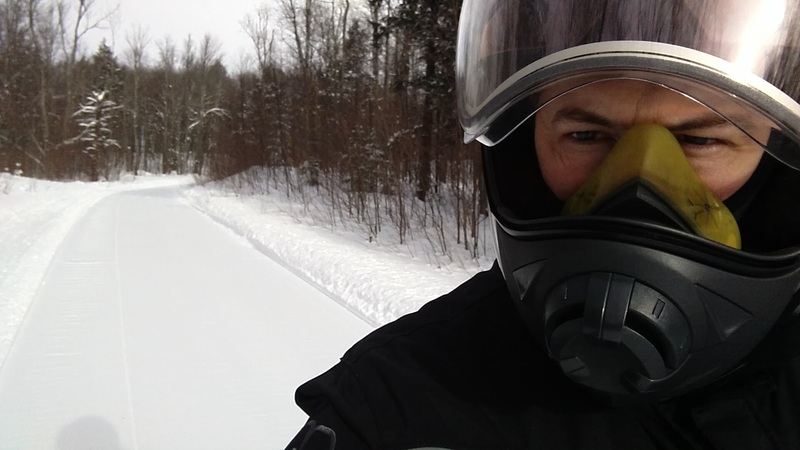 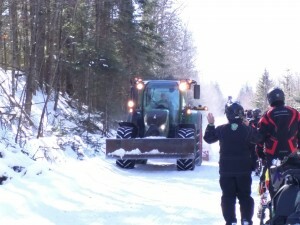 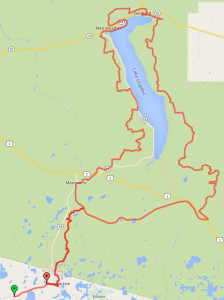 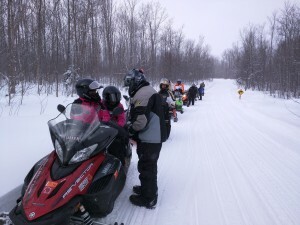 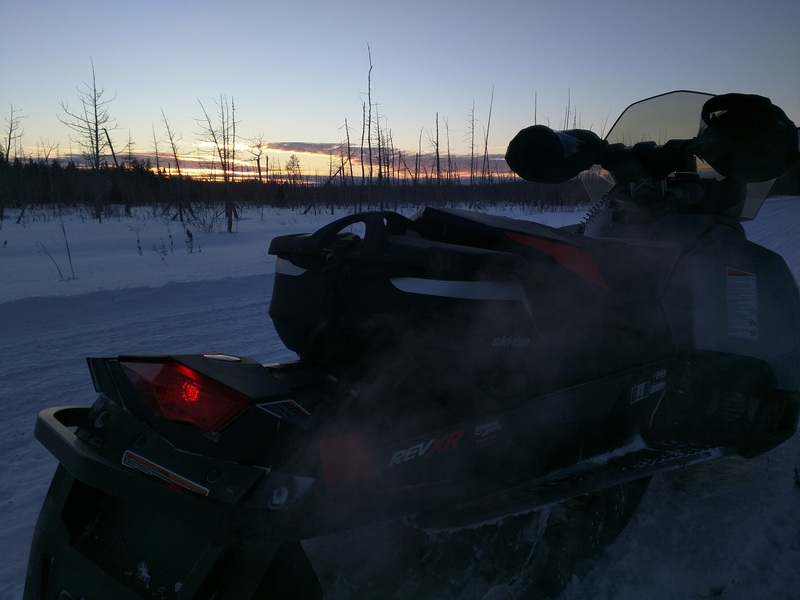 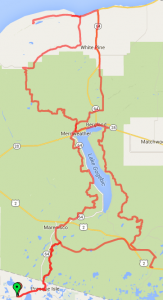 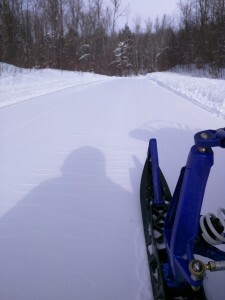 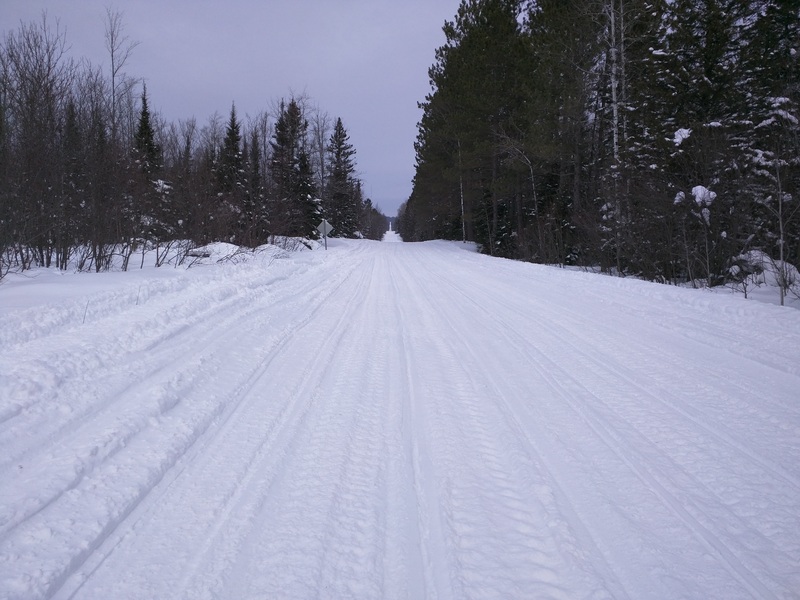 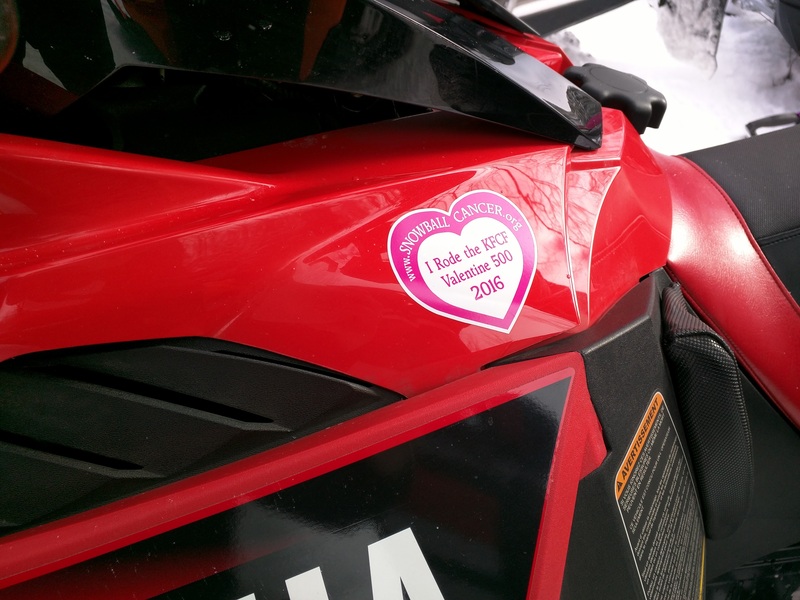 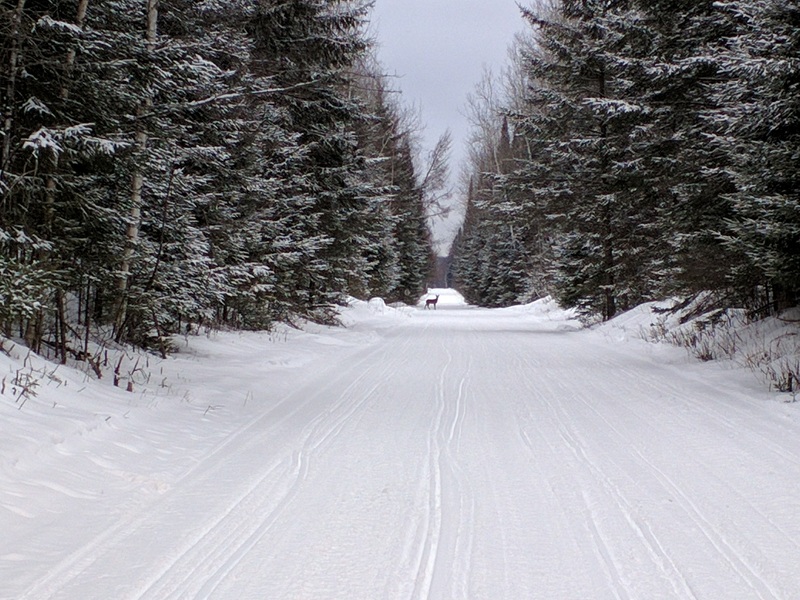 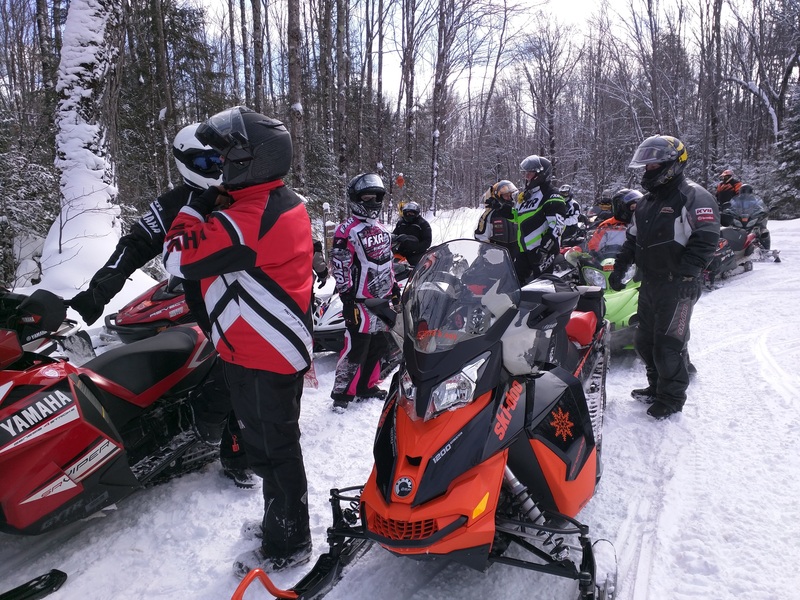 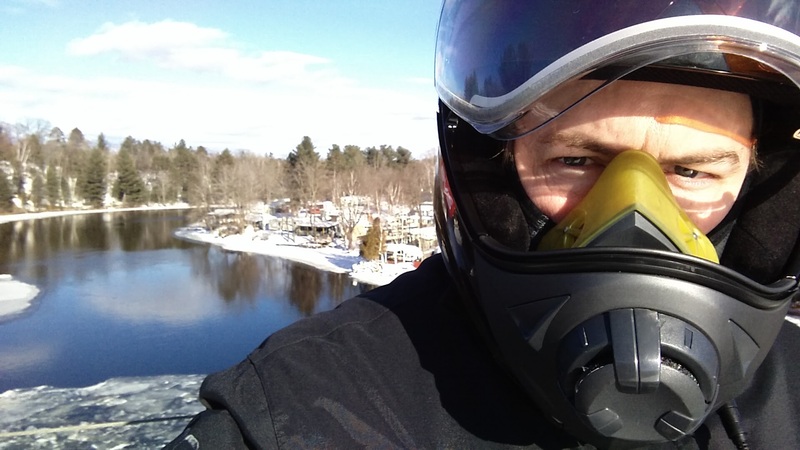 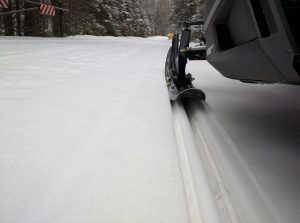 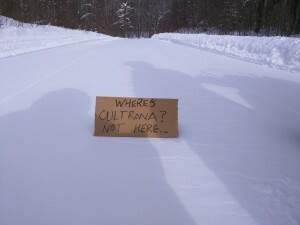 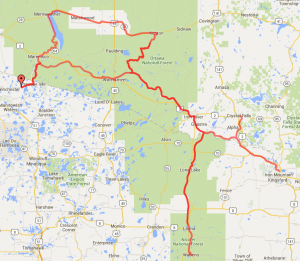 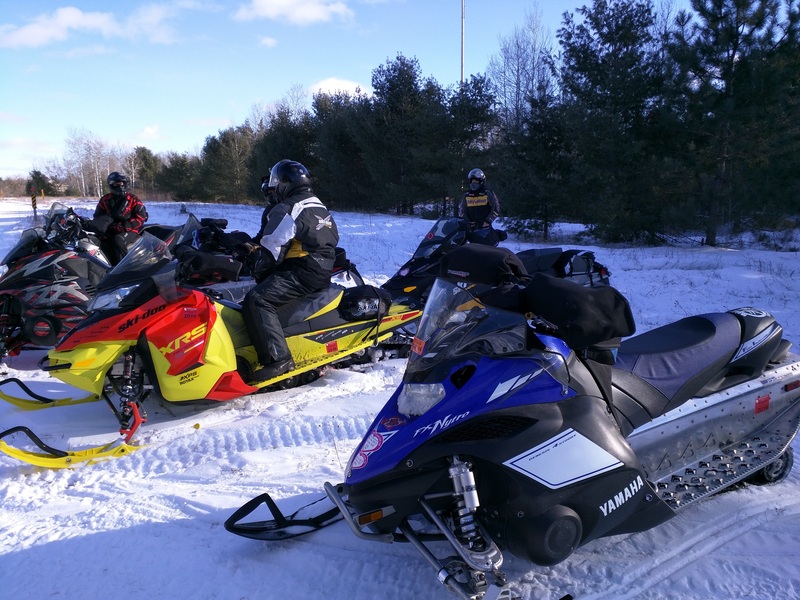 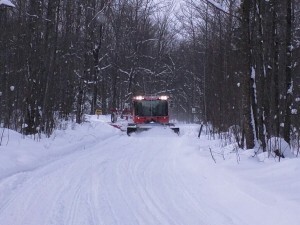 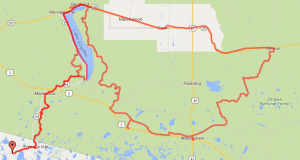 Hopefully GAG (Gogebic Area Grooming) can get things together and keep this trail groomed for the rest of the season. 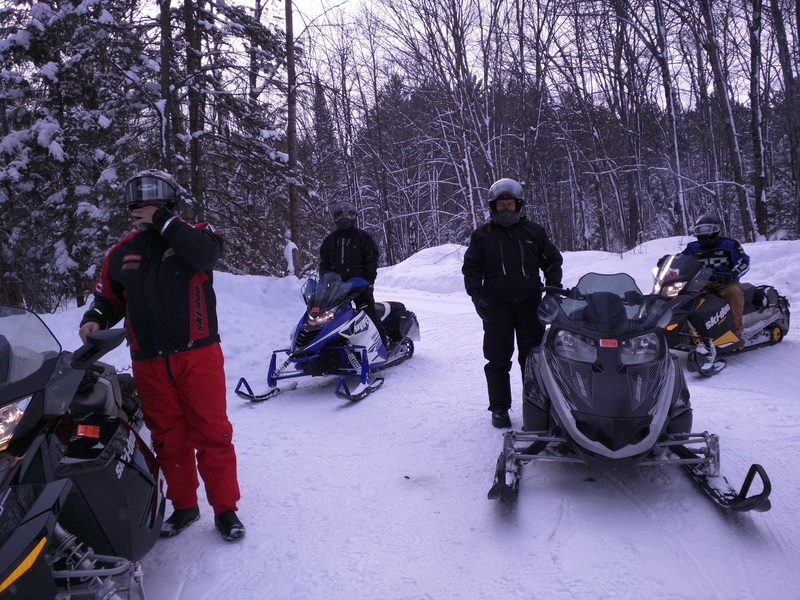 Once we got to trail to and headed for Watersmeet, things improved considerably. 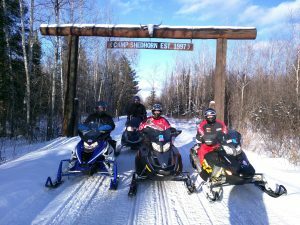 The UP Thunder Riders ALWAYS do an amazing job on their trails! 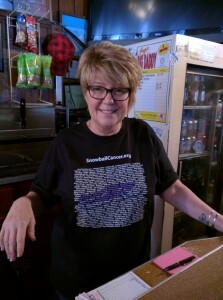 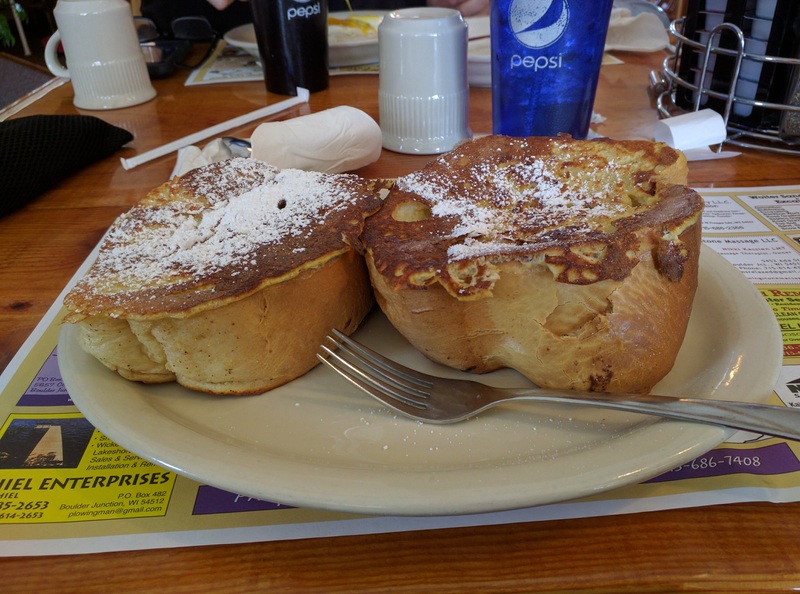 We grabbed breakfast at the Pine Cone Cafe in Land O Lakes WI which was great as usual! 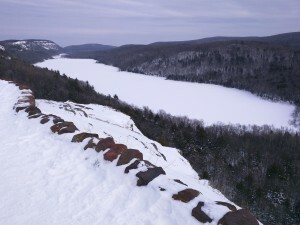 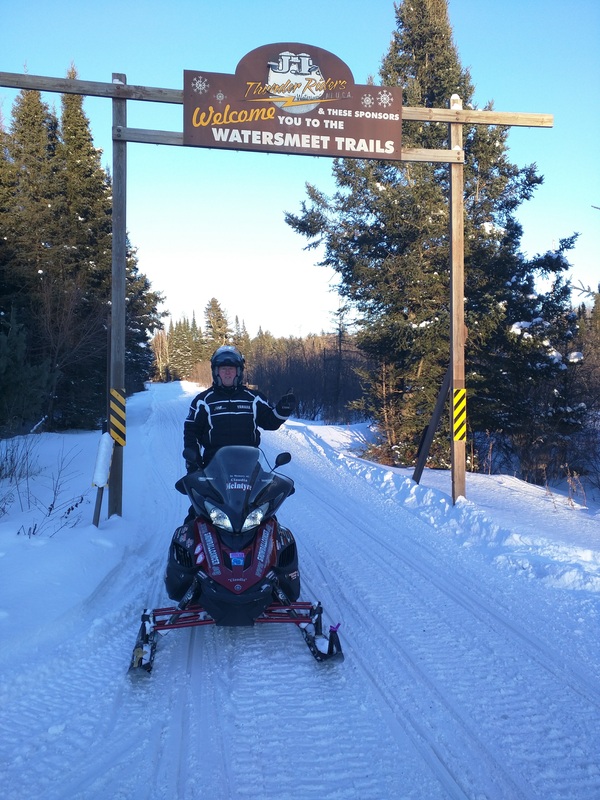 Then we headed north to trail 2 and took that east to Iron River. After we got east of trail 107 it was smooth sailing the entire way. 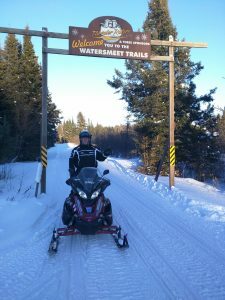 The closer we got to Iron River, the more rocks we saw on the trail. 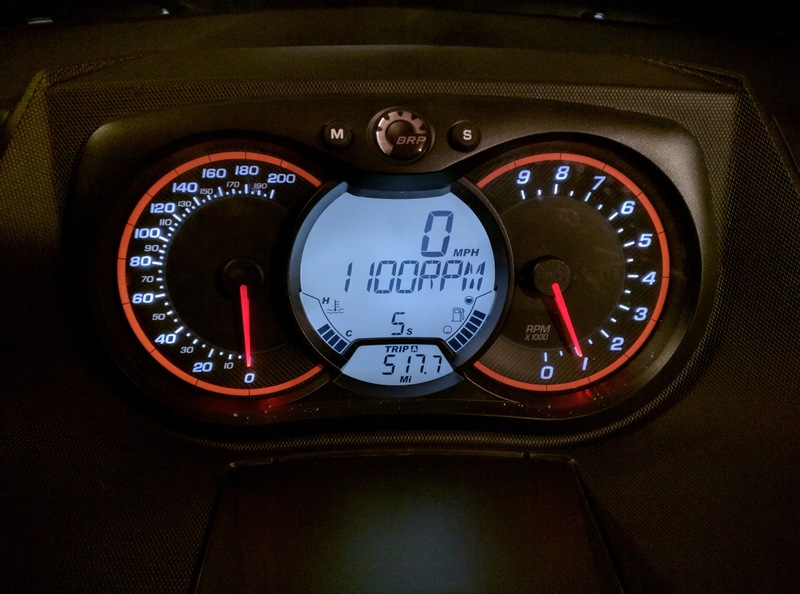 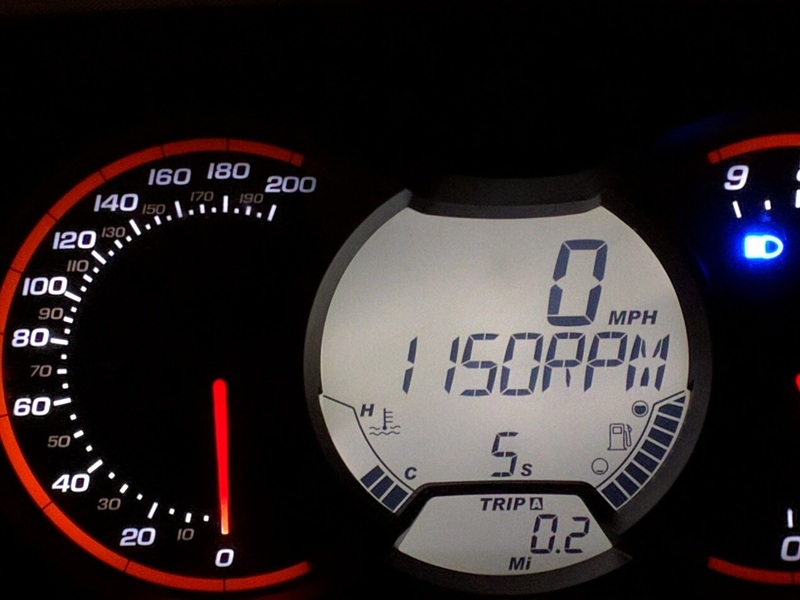 We decided to get gas there and head back. 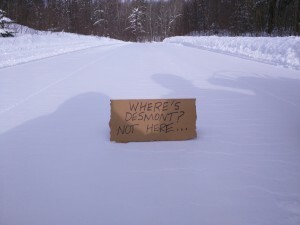 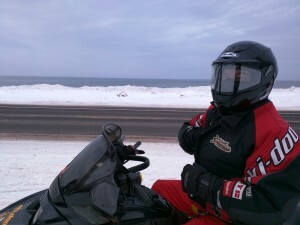 The further east we went, the more the snow thinned out. 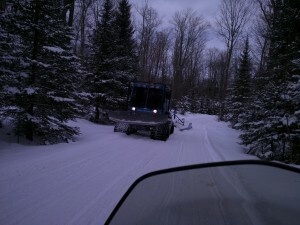 On our way back we decided to check out trail 107 and crossed paths with the groomer. 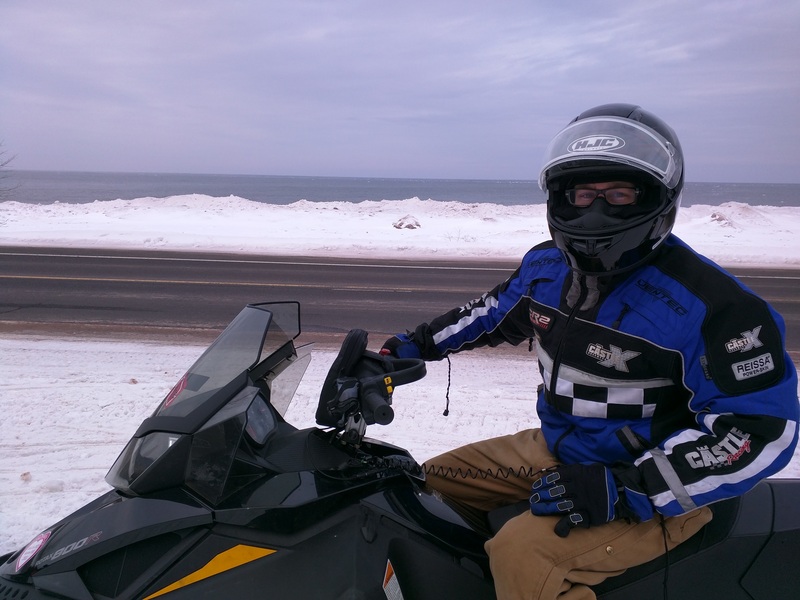 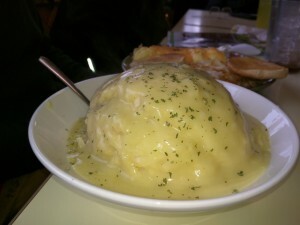 We stopped at UP Chucks for some soup and then made our way back to Presque Isle. Trail 1 from Marenisco to Presque Isle was beat to hell again! 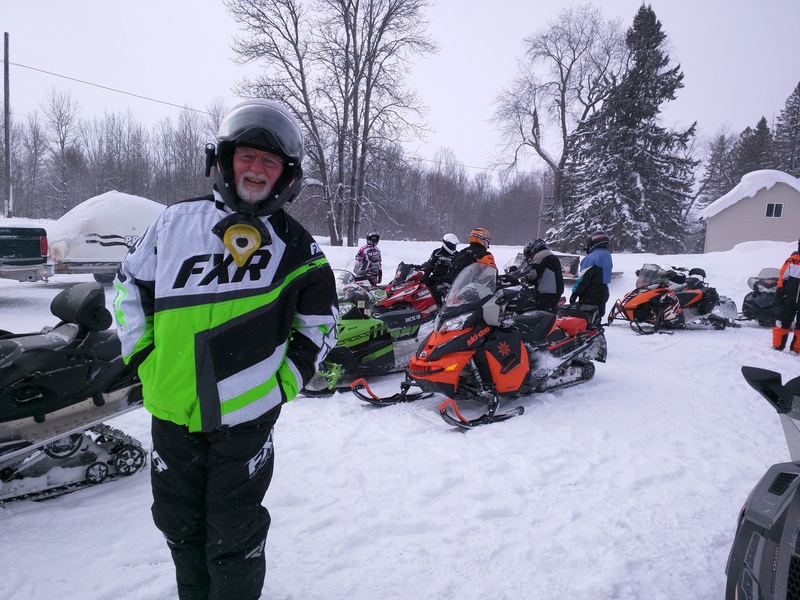 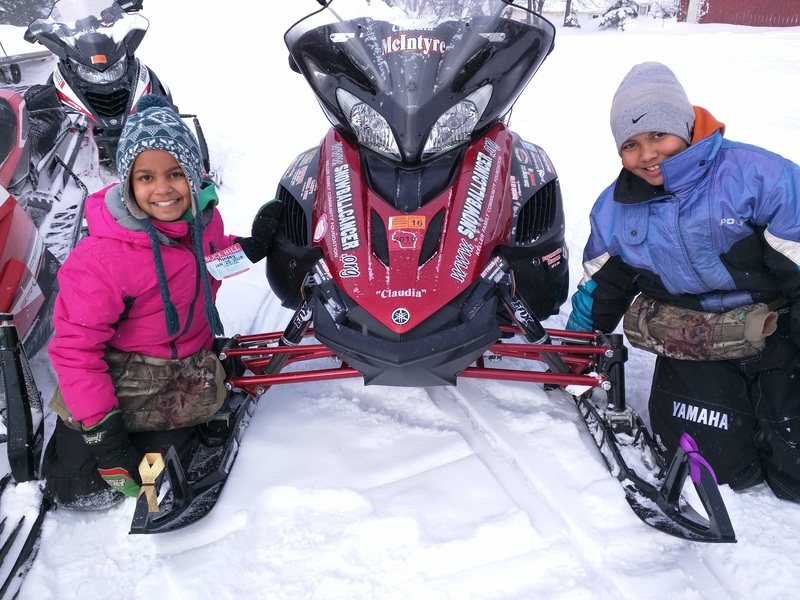 I gotta give a shout out to the Presque Isle Sno Bunnies! For the first time in SEVERAL years, they did a better job on their trails than GAG did on trail 1. Thanks, we sure do appreciate it! You are currently browsing the archives for the Trail Reports category.